Enjoy In The Labyrinth by Chris Doyle and hundreds more 4K artworks with the Depict Experience. 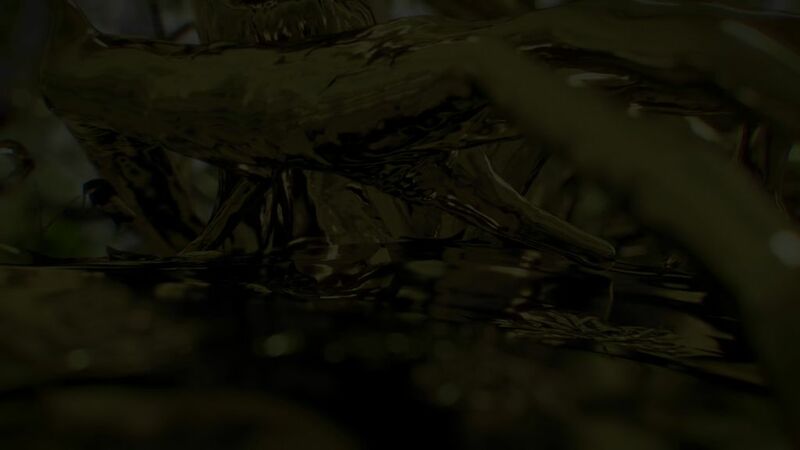 This video artwork presents a strange, synthetic and hybridized version of the natural world as a golden forest. The animation begins with a tight view as the camera moves through the thicket. Branches move and curl like fingers; tree hollows move like mouths. As the scene opens out, we see that a gnarled tree seems to have fused with the head of a bull. While beautiful and otherworldly, this environment has a twist of the macabre, like the unintended consequences in the fairy tale of the man who wished for everything he touched to turn to gold, only to realize he’d wrought a cruelly beautiful, but mute, world-like facsimile.